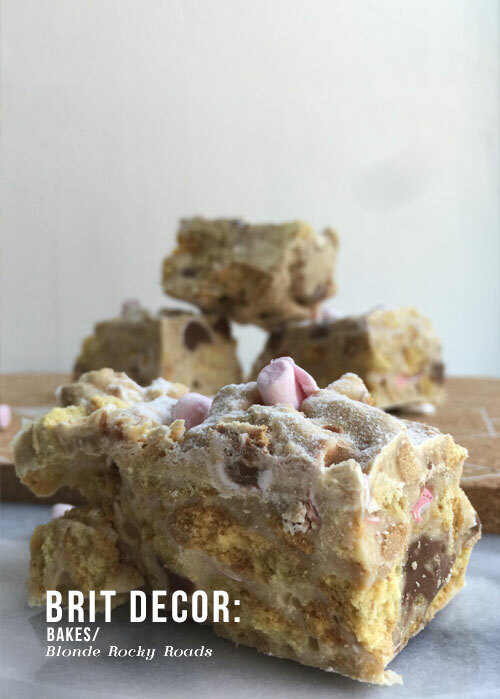 I may well have already confessed to regular readers of Brit Decor that I'm a huge fan of Rocky Roads, which isn't difficult, right? So today I wanted to experiment slightly with a blonde version of this classic favourite - just in time for feeding guests over the Easter holiday. 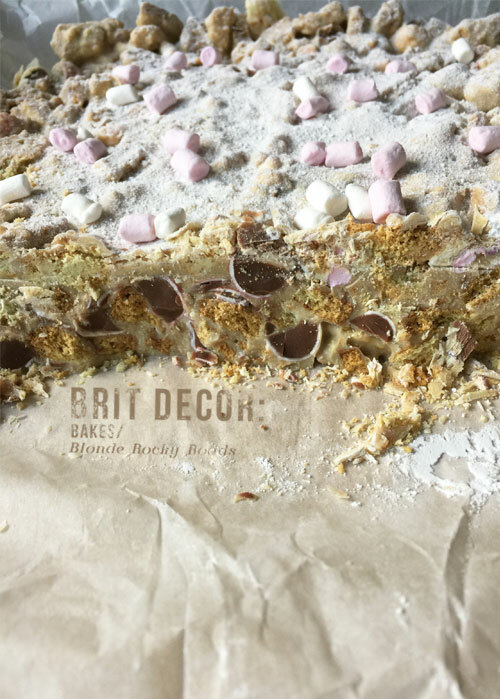 The white chocolate makes this an especially sweet treat and the best thing about this bake is - you can cut it up into tiny bite-sized pieces, making the servings go that much further. 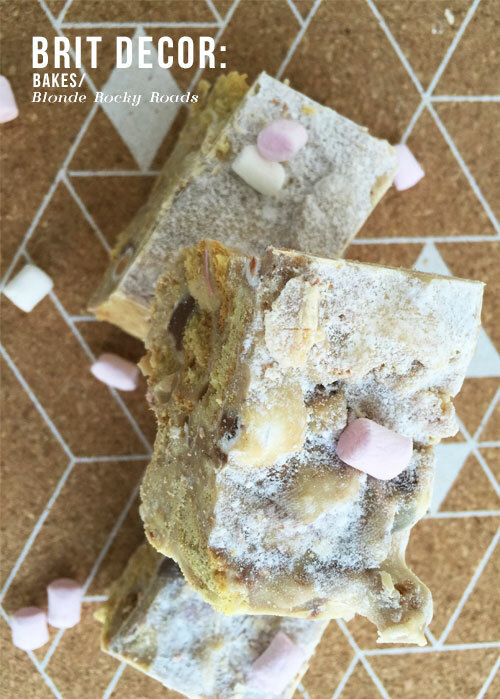 As it's Easter, I added mini eggs for that extra crunch, which along with the digestive biscuits and the set chocolate makes for a crunchy bite - not for the faint hearted! 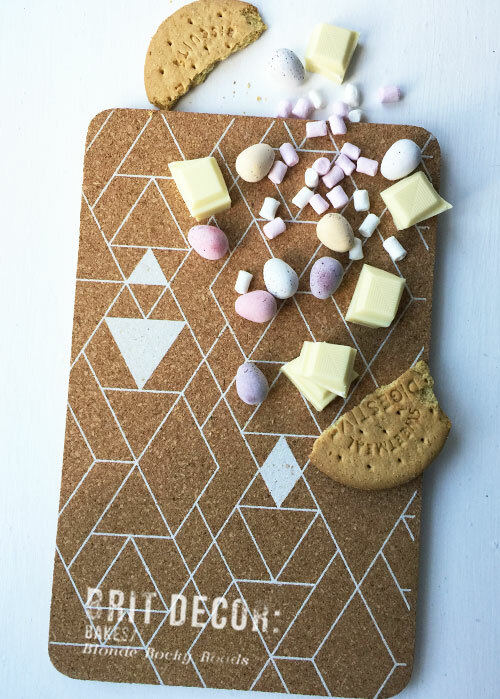 Will you be baking or making over the Easter break? 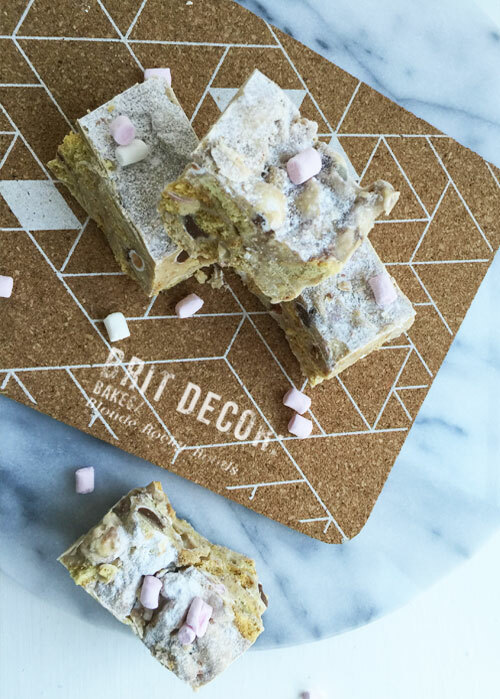 Line a baking tin or dish with greaseproof paper. Melt the white chocolate in a bowl above gently simmering water but do not let the water boil, white chocolate needs less heat than milk choc! In a bowl gently crush the the digestive biscuits into rocky chunks and then crush or chop the mini eggs. Add the melted chocolate and mix together, adding in some micro marshmallows for good measure. Scoop the mixture into the pre-prepared tray. Place in the refrigerator and leave for several hours to set. To serve - dust with icing sugar and sprinkled on some of the remaining micro marshmallows.